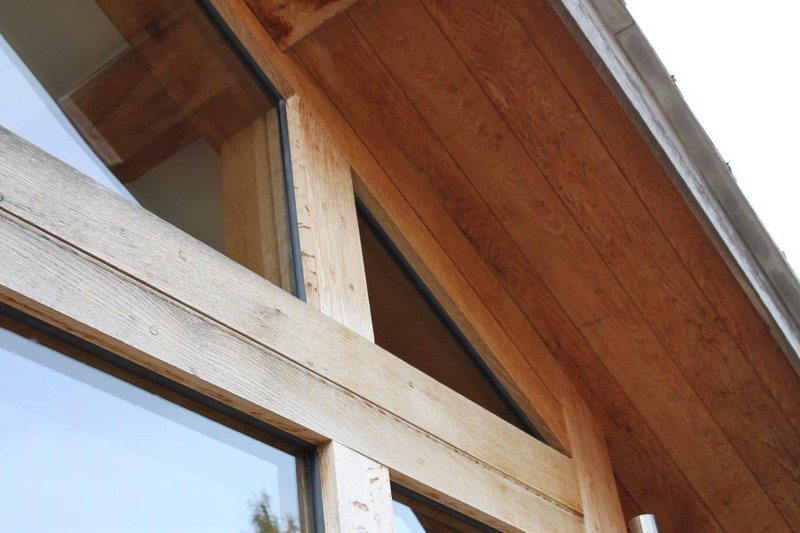 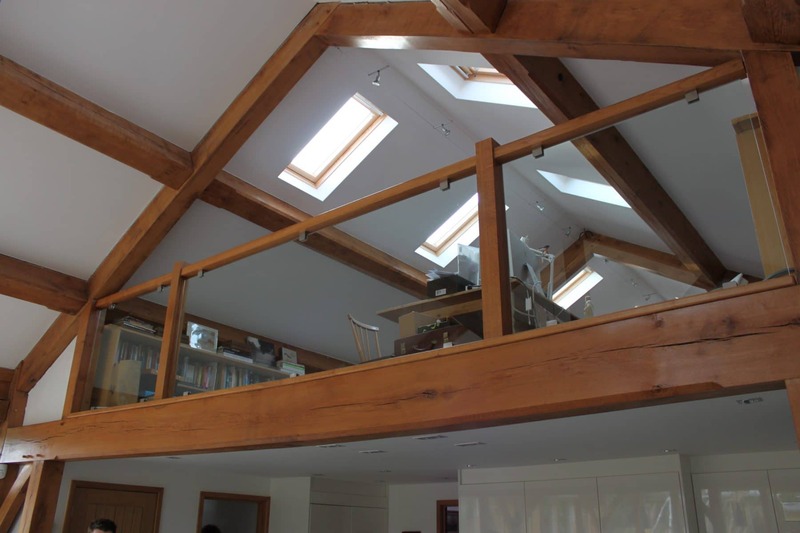 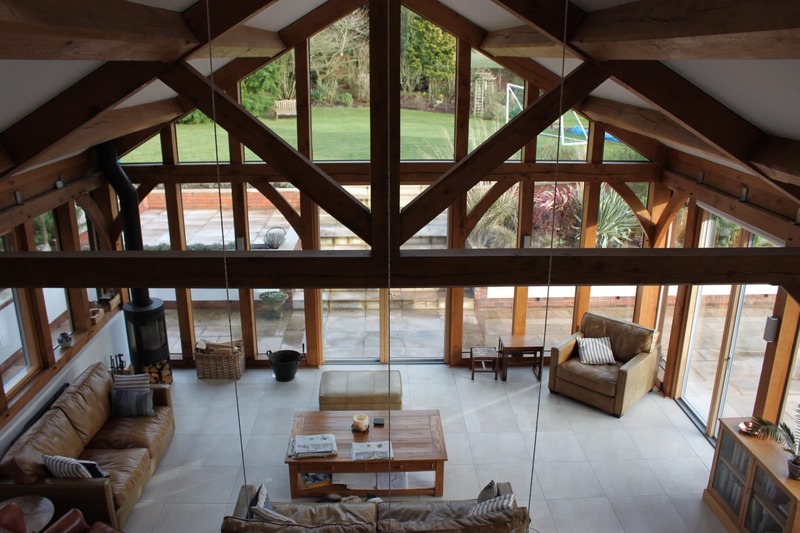 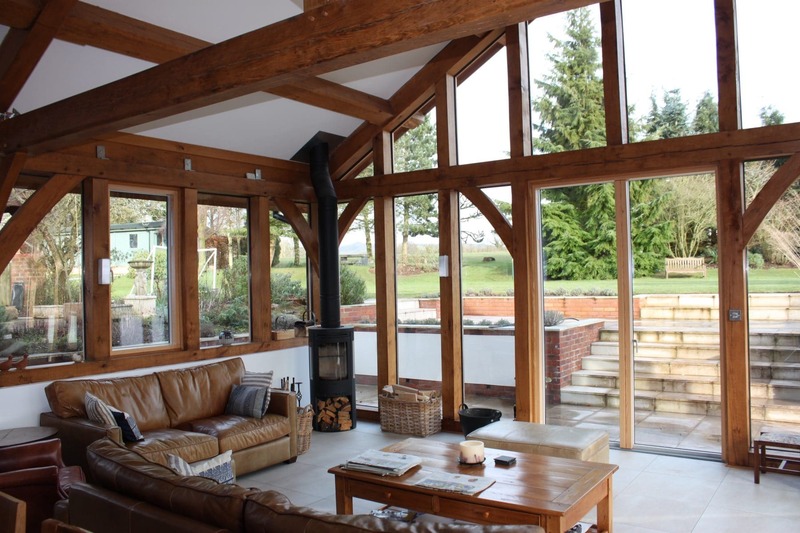 This project on the outskirts of Stourbridge highlights the use of face glazing within a green oak frame giving the effects of a lighter, brighter more contemporary feel. 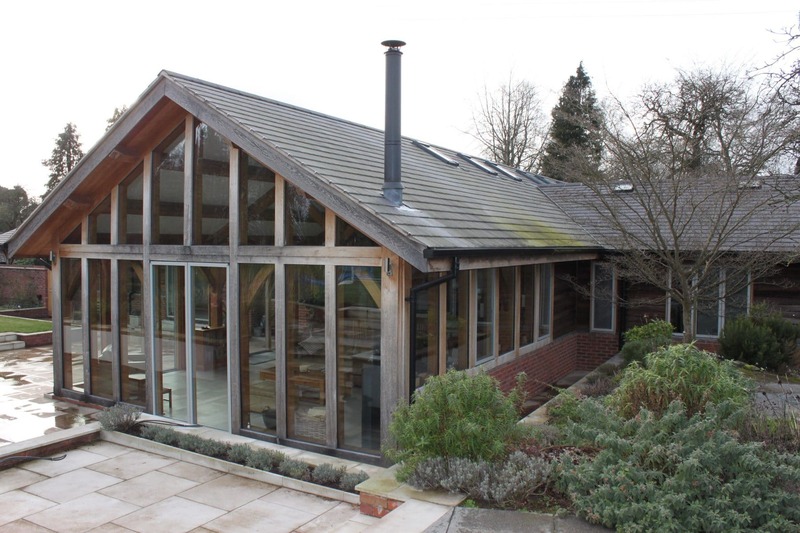 The photos were taken 2 years after completing and shows the ageing process of the oak capping boards and how they silver off over this period. 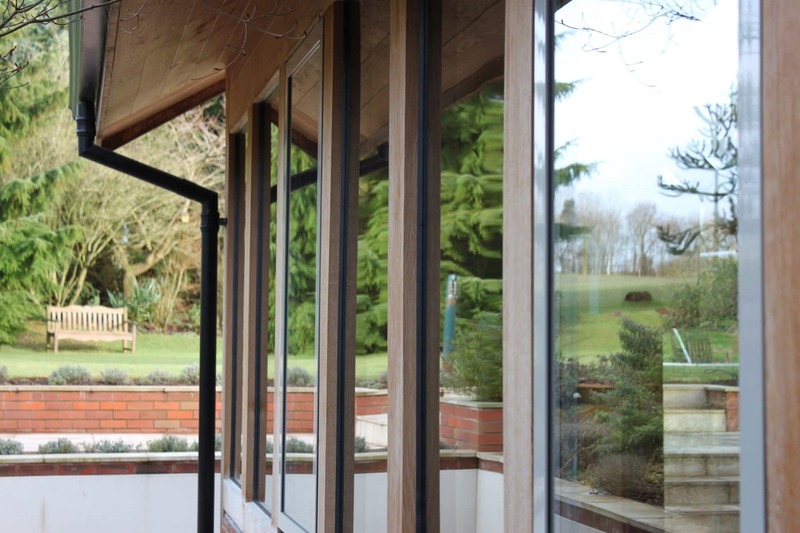 Once the external elements of the project were complete we were asked to supply and fit the internal glazed balcony, doors and staircase.